Where elephants roam and most travellers never set foot, Kaokoland is an area of inexplicable beauty. Shrouded by jagged mountaintops, Hoanib Valley Camp sits hidden from view in a corner of Namibia where the air is tinged with an ephemeral intrigue. The journey here will take you well off the beaten path as you fly from Windhoek up to Fort Sesfontein, where a member of the team will be waiting to take you on a short game drive the rest of the way. 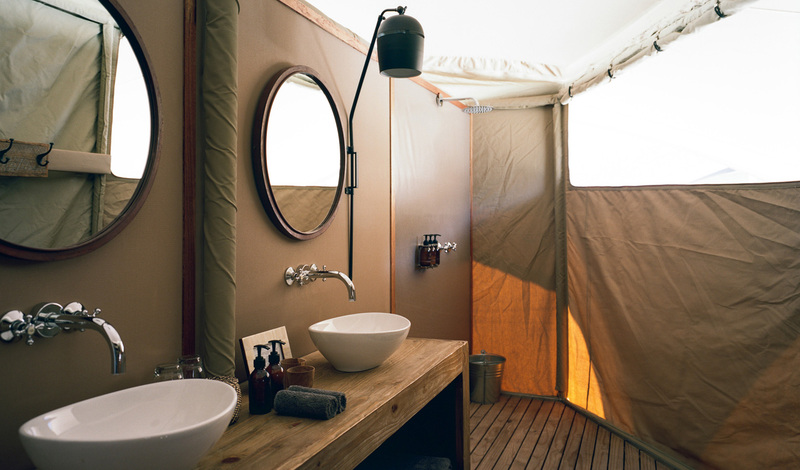 A set of six canvas sails soaring elegantly through the desert, the rooms at Hoanib Valley Camp blend seamlessly with their environment to create an intimate affair connecting you to the wilderness. Step inside and discover a palette of colours, textures and patterns which have taken inspiration from the Hoanib. Rich ochre shades reminiscent of the dunes, geometric patterns that evoke the connection to the local giraffe population and a simple aesthetic that never detracts from your surroundings. 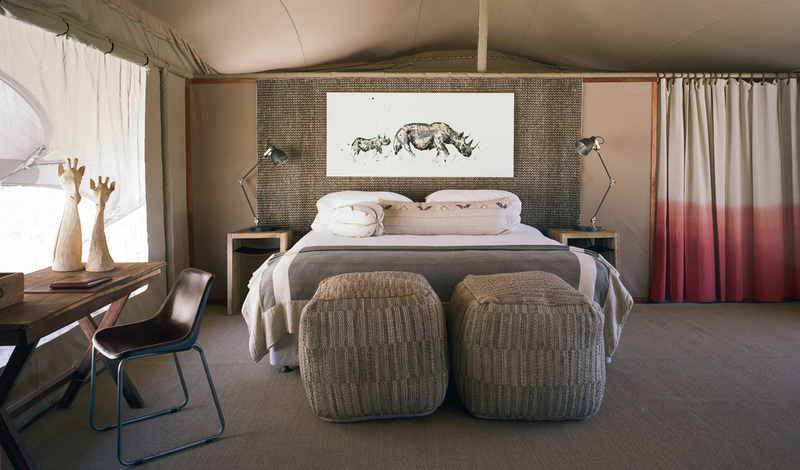 Complete with ensuite bathrooms and outrageously comfortable bedding, the safari experience is complete.